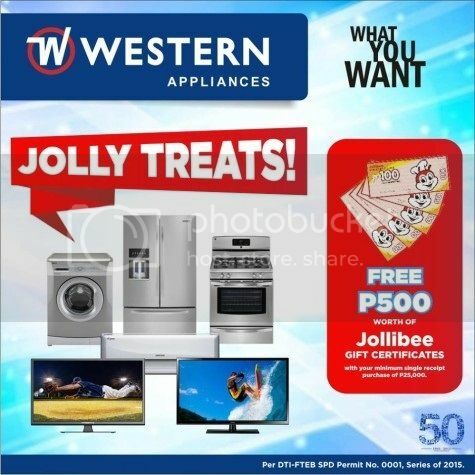 Get ready for the Western Appliance Free Jolly Treats Promo for 2017. You’ll get a total of five (5) Php100 Jollibee gift certificates for every minimum single receipt purchase of Php 25,000 at Western Appliances! Take note, this promo is applicable for cash & straight purchases only.